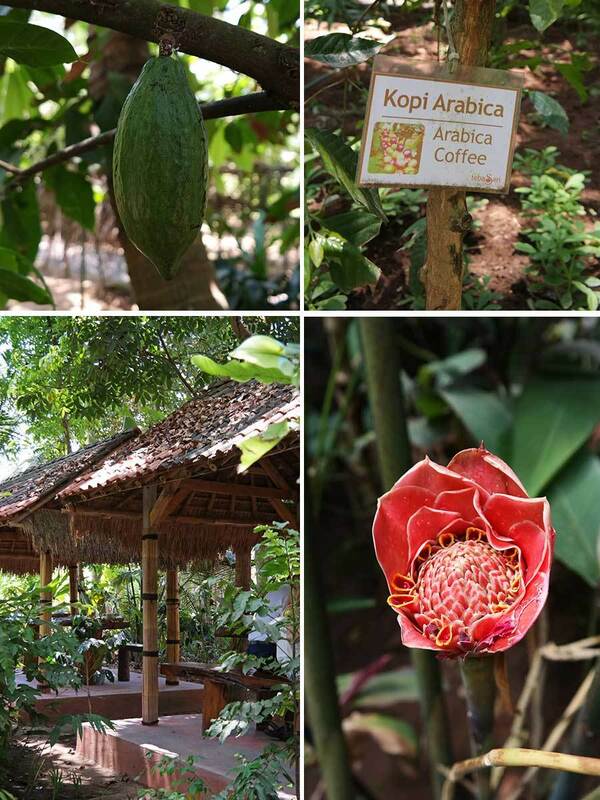 I have been contemplating whether to post about our visit to the Teba Sari agrotourism farm in Bali, where we learned about Indonesian and Balinese farming and fruits, and tasting the famous Kopi Luwak, the civet coffee. The small farm (or the part of it which we saw) was beautiful, and our guide was fantastic, and in addition to telling about the plants and fruits and herbs in Bali, she also pointed us some lizards in the trees, and we truly enjoyed the tour with her. But the tour had some concerning parts. 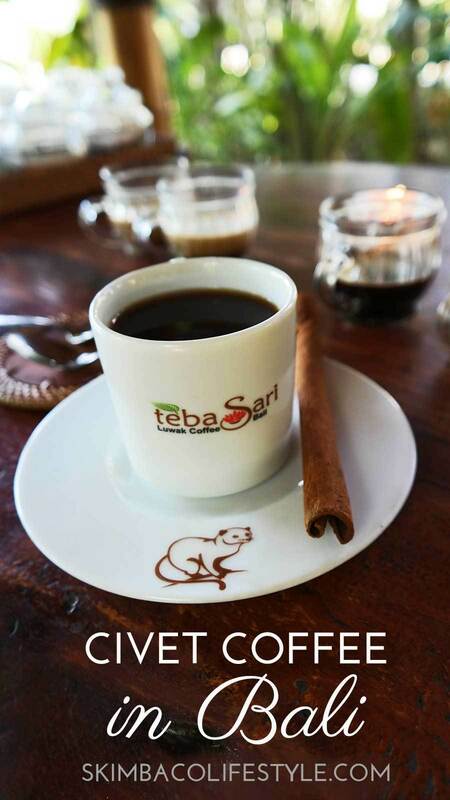 I admit, I was fascinated by the civet coffee, and as a coffee and tea lover, was excited to attend the tea and coffee tasting at Teba Sari, but what I really felt after the visit was that we had just fallen into an expensive tourist trap, where we shouldn’t have gone. I realized that it can be difficult to travel in exotic places, and NOT to do some of the things that you kind of feel are wrong, but “everybody” does it, so you should/could too. 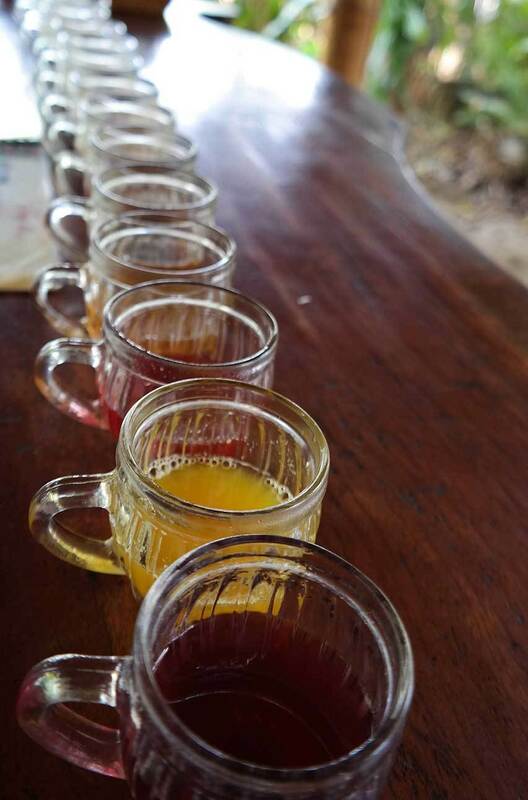 Read more why I have mixed feelings about the Teba Sari experience and about civet coffee. 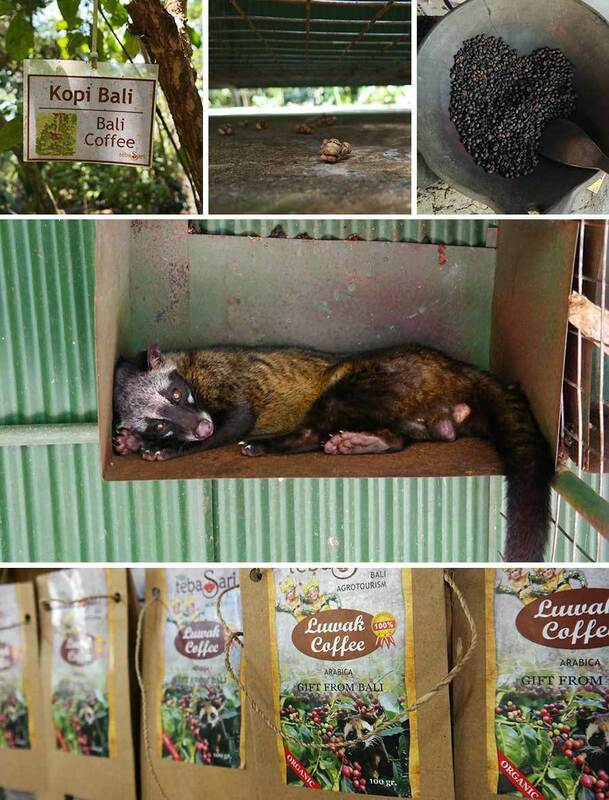 What is Civet Coffee/Kopi Luwak? And why it is so expensive? 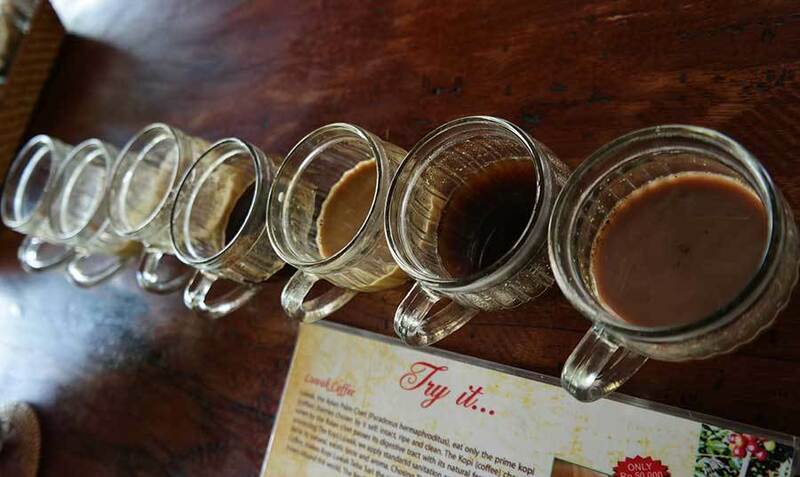 Civet Coffee, or Kopi Luwak in Indonesian, is one of the world’s most expensive coffees in the world due to its quite unique production process. The Asian Palm Civet has a natural talent for picking only the best coffee berries to eat. After the civet has eaten the coffee berries, the berries are perfectly fermented, slowly in an optional temperature, as they pass the animal’s digestive tract. The civet feces with embedded coffee beans are then picked up by coffee farmers and after a washing & sanitizing process you will have nicely fermented coffee beans as your result. Beans that make smooth, tasty and the most expensive coffee in the world. Many also call it also the monkey poop or cat poop coffee, but it’s all about the same coffee and the same animal, the Asian Palm Civet. Civet is also called a toddy cat, and lives in trees like a monkey. Well, that is if they are not in the coffee-making business and in captivity. The civet coffee was first developed in Java area in Indonesia, where coffee farmers thought it was much easier to pick up the animal feces containing coffee beans from the ground than the fresh actual coffee berries from the plants. Farmers were also not allowed to make coffee for themselves from the coffee beans they were picking, but everything that was on the ground was free for all. They must have been having some serious coffee cravings to even think of roasting some civet beans! Civet coffee didn’t really become “a thing” until about ten years ago. The original idea of real civet coffee is almost like cleaning nature by removing (and reusing) animal feces, and in many ways a great thing to do from the ecological point of view. 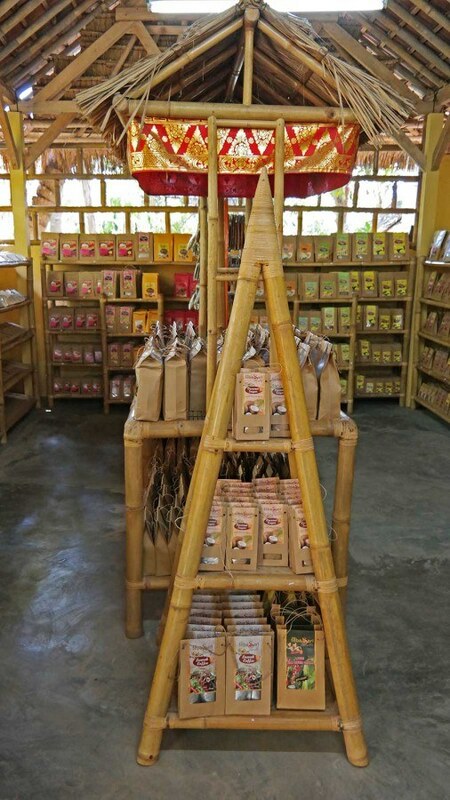 However, with the popularity of the luxury civet coffee, a new breed of coffee farmers were born: the civet farmers. Civets live in small cages and their only function in life is to eat coffee beans. While we only saw a few civets on our trip, and they had water and food, they were in small cages. Sad, and very far from the original way of making civet coffee. I did not expect to see civets in cages when entering the coffee tasting experience at Teba Sari. After our farm tour, we were treated with a coffee and tea tasting. The tasting included 15 different kinds of teas and 5 coffees, and the tasting was free. All of the teas and coffees were brewed differently than what I am used to, and even the teas were made in the form of hot water poured over powder. I am not used to drinking instant tea or coffee, and didn’t expect the teas to be like this in Indonesia. However, many of them were very good. The mangosteen tea was sweet like a berry tea, and our favorite was the lemongrass, so refreshing. I was so interested in hearing about the medicinal benefits of all of the teas. How the saffron and tamarind tea helps body odor and digestion, or for the rosella tea is for preventing cancer and is good for your blood circulation. The ginger tea is used for curing the cold and is good for digestion. I was mesmerized by all of the natural healing advice I was hearing and reading. When I got back home, I started reading even more about herbal remedies than before, and eventually joined Young Living essential oils company. The coffees we tasted were equally as interesting as the teas. I didn’t like some of them, like the Bali coffee, it was too strong, but the vanilla coffee was sweet and good in a different way how I like to drink my coffee at home. Our guide was nice, and assured us the tasting was free, and she even gave us some amazing Balinese chocolate. It was special, since we had just seen cocoa growing in the trees at the nature walk. We felt giddy about the tasting, and it was such a fun experience with my daughter. Then our guide asked if we wanted to try the Kopi Luwak, the civet coffee. She said it was 50,000 rupiah, which is just under five dollars. I asked if she had tried it, and if she likes it. I have tried it once, it was so good. But it’s very expensive for us. It’s 50,000 rupiahs for one cup, and I only make 500,000 rupiahs in one month. It’s nothing for you, but the Kopi Luwak is too expensive for me. I wish I could drink it. Did I want to try the civet coffee? Yes. Did I want to try the civet coffee after seeing the animals in cages? No. 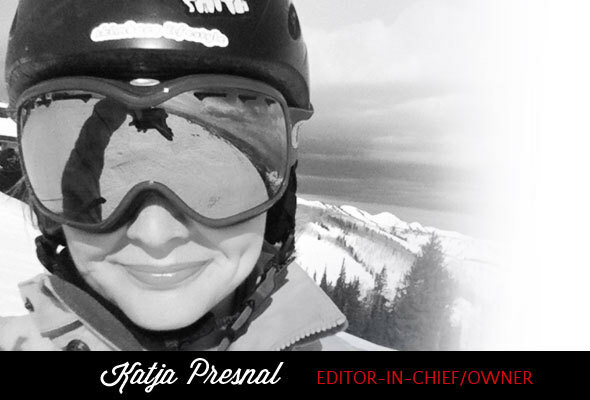 Did I feel bad for this young, smart, girl making less than 40 dollars per month? Yes. I asked if she could drink coffee with us, if I bought her the coffee. She said no, they are not allowed to drink coffee with guests, and showed a video camera recording us. She said she can take tips, but under the table. I gave her 50,000 rupiahs on the table and ordered the civet coffee and I gave her 200,000 rupiahs under the table as a tip. We talked about her work, and her school, and her dreams in life, and I encouraged her to continue at school. I was hoping my encouragement would be something she’d remember. She brought us the civet coffee, and we talked more. I admit, the civet coffee was good. It was thick and strong, but extremely smooth. No bitterness at all. I would not go as far as calling it the best coffee in the world, I still like my coffee the best in Italy, but it was a very good cup of coffee. After the tasting, she took us to the gift shop, and encouraged us to shop for souvenirs for home. I was mesmerized by the medicinal effects of the healing teas, and I felt like since all of the tasting and the tour that had taken an hour were free, we should buy something. I felt like I had to be nice to these people and I owed them something. We kind of got carried away, and when walking away from the shop I realized we had just over-spent on over-priced teas and coffees in a place that I had reservations about. How were those civets treated? And why their employees are making so little money? Why the cameras supervising the people? I didn’t even occur to me until then that we had landed on a tourist trap. But here is the thing that really got me thinking: was I supporting the local business and helping people like our guide to at least have a job and thus afford to go to school as well? Or was I contributing to the fact that her salary would never be higher and conditions better? And what did I really know, but the things she told me, and what I saw? 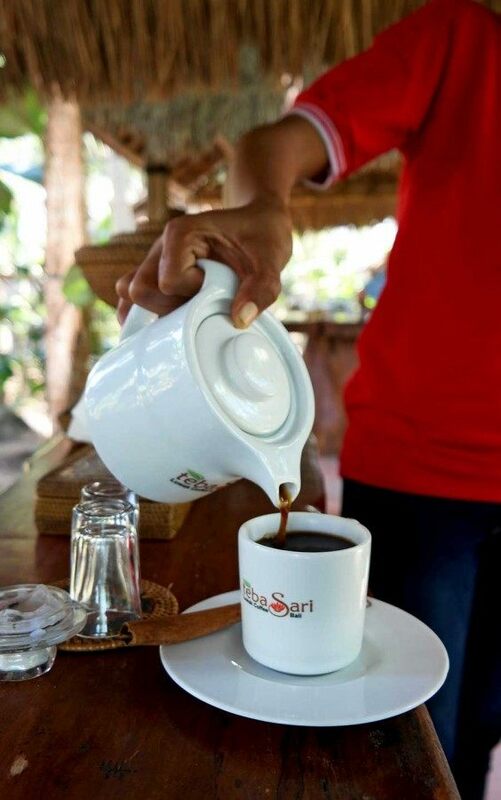 And after all, I was at Teba Sari with my daughter, I love her and her company, and we had such a good time and it will be a memory of a lifetime when we were tasting teas and coffees in Bali. Was it OK to be “tourist trapped” or were we irresponsible travelers? I really don’t know. What about you? Have you ever had similar kind of feelings when traveling? Read all of our posts about Bali, Indonesia. Follow Skimbacolifestyle.com’s board Bali Inspiration on Pinterest. We got back from Bali last month. and went to Teba Sari as well. I really am not bothered by the tourist trap bit. Its a developing world and their daily wages are low…so they need to make money. No one forced us to buy anything. What did bother me was the way the civet cats were kept. I felt sad for them. But I also feel sad for tiger in the zoo…thats just me! I am totally with you on this one! Yes, I do think it’s great to know what it is and what it tastes like, but certainly not a daily thing for many reasons. Such an interesting piece. The whole process is kind of bothersome. Guess that is why I am not worldly. I’m so glad you were able to talk wit the guide. Bali is very tricky like that, isn’t it. I had several similar tourist-trappish incidents when we were there last month. I’m glad you managed to give your guide that tip. The videoing of them is kind of scary!